Customize Form – Appearance. 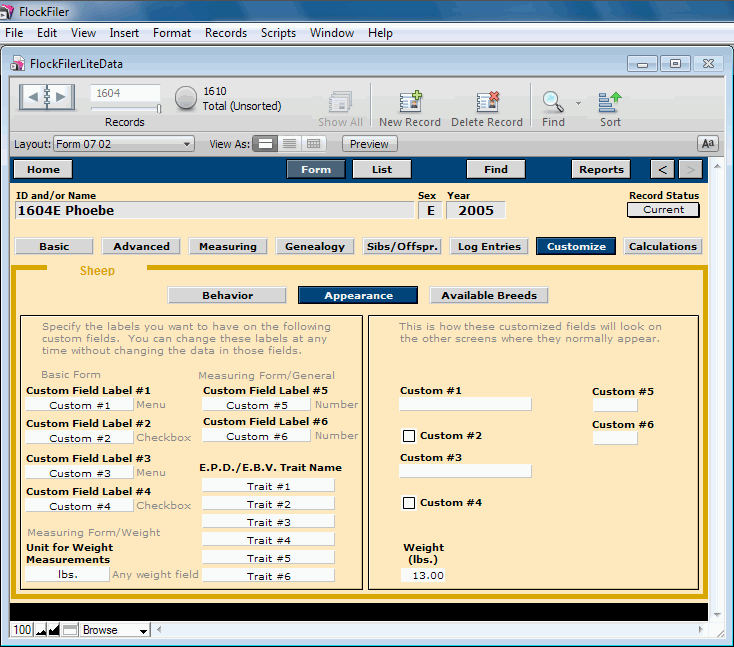 FlockFiler Lite has six custom fields that you get to label yourself and use to store data that is useful to you but doesn't have a home elsewhere. You can also specify the specific traits associated with the EPV/EBV values you use.